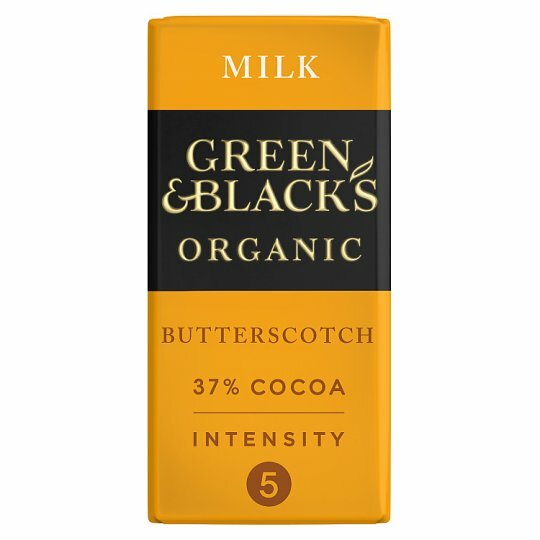 Organic milk chocolate with butterscotch pieces (10 %). Our rich milk chocolate filled with crunchy butterscotch pieces. A traditional touch of molasses is added to our Yorkshire butterscotch, offering subtle treacle notes for a truly moreish taste.